As the old saying goes, things happen in threes. Not only has Special Counsel Robert Mueller impaneled a Washington grand jury and grand jury subpoenas been issued over the Don Jr.-Russian lawyer meeting, but Jared Kushner’s real estate company has been subpoenaed, as well. 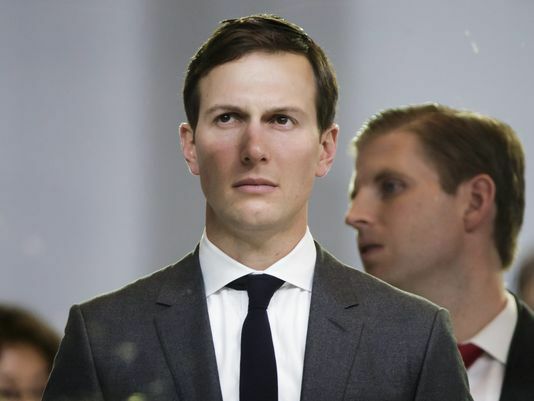 New York federal prosecutors have reportedly subpoenaed Kushner Companies, the New York real estate business owned by the family of Donald Trump‘s son-in-law and senior adviser Jared Kushner. The subpoenea concerns the company’s use of the controversial EB-5 visa programme to finance its development in New Jersey called One Journal Square, the Wall Street Journal reported. The EB-5 programme allows wealthy foreign investors to effectively buy US immigration visas for themselves and their families by investing at least $500,000 (£378,000) in US development projects. In a statement to the paper, Emily Wolf, the Kushner Company’s general council, said: “Kushner Companies utilised the program, fully complied with its rules and regulations and did nothing improper. It is currently unclear what potential violations the New York attorney’s office is looking into. The family was criticised earlier this year when Mr Kushner’s sister, Nicole Kushner Meyer, mentioned her brother’s work in the Trump administration while urging Chinese citizens to invest in the New Jersey project. Reuters is reporting grand jury subpoenas have been issued in connection with the meeting between Donald Trump Jr. and Russian lawyer Natalia Veselnitskaya last June. Special Counsel Robert Mueller is ramping up his investigation into Russia’s alleged role in the 2016 presidential election. The Wall Street Journal reports Mueller will impanel a Washington Grand Jury to investigate Russian interference in the 2016 president election.